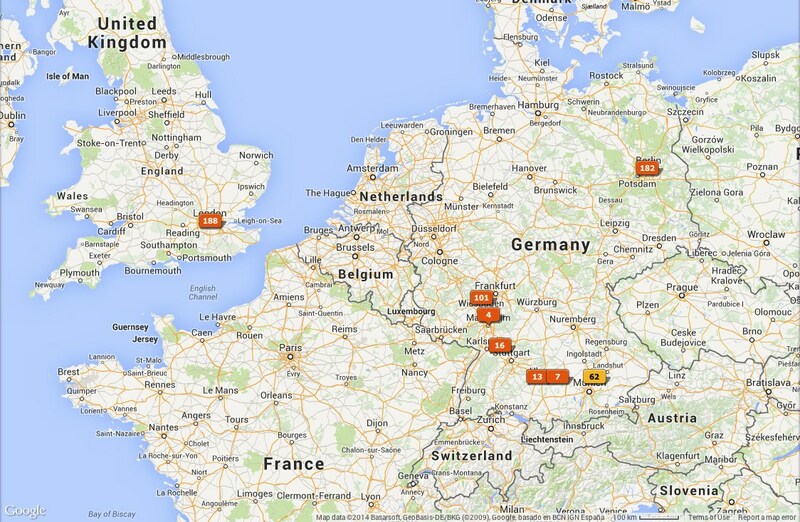 A map of our recent trip to UK and Germany told from geotags. We started in London, flew to Berlin, flew to Frankfurt/Mainz, and took a train to Munich. Full album will be posted soon. This entry was posted in Uncategorized on September 25, 2014 by Rich.